Welcome to Ashburn Elite (AE) home on the web! Registration for the 2019 Outdoor Season is now open. Registration is open for ages 9 - 14 & High School. The 8 & under age group is full. The Ashburn Elite Track Program will begin our 8th season, we are looking forward to maintaining our tradition of success and athletic achievement. Last year, 46 kids qualified for the Junior Olympics and brought home 50 medals between the Indoor and Outdoor National Championships! Our goal as a club is to improve our kids running abilities with good fundamental skills and technique, as well as giving them a sense of hard work, dedication, discipline and responsibility. We treat each child individually in regard to how they need to be motivated or supported and all of our kids learn how to run well and greatly improve their abilities and confidence. Lastly, we want to ensure the kids learn and appreciate the rules and regulations of Track & Field and introduce them to new aspects of track, such as Field Events. In our Program, all athletes will learn proper running techniques and mechanics to improve their running efficiency and thus their overall athletic performance. In addition, we will offer unique acceleration, quickness, explosive and reaction drills that are proven to transform an athlete’s speed. Our athletes train and participate in short, mid and long-distance events, hurdles, relays and all field events (Outdoor field events include Long/Triple Jump, High Jump, Discus, Javelin & Shot Put). In 2018, we had at least one athlete medal at Nationals in each of the above events. Ashburn Elite Track Club offers programs for girls and boys ages 6 through 18. We offer both a local and travel program for Youth athletes and a dedicated High School program for athletes in grades 9 - 12. We also offer individualized specialized training for our returning collegiate athletes and USATF Elite level athletes. Our athletes train and participate in Short Distance, Long Distance and Field Events. For more information and practice days and locations, please click here. Indoor Only and Indoor & Outdoor registration options are now open. Please click here to view the different Registration options. 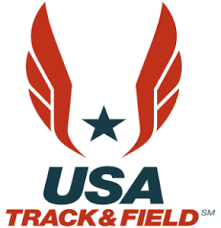 83 Ashburn Elite athletes participated in the 2019 AAU Indoor National Championship from March 8 -10, 2019 against approximately 2500 top athletes from across the United States and Canada. Ashburn Elite athletes’ dominated and medaled in all areas – Short, Mid and Long Distance, Field Events, Relays and Hurdles. Madelyn Ramirez, 9yrs old, broke the Nationals meet record in the 1500 by 18 seconds and set the 800m record. Her teammate Emily Gordon, 9 yrs old, finished 2nd in the 1500 and also broke the old National Record. The 15-16 year old Girls 4 x 800 relay team (Kendall Garza, Ashleigh Wingate, Sadie Dillard & Finley Cox) also set the National Meet record. The Ashburn Elite Track Club is a 501(c)3 non-profit organization.